Today celebrates his birthday a famous American actor Doug Savant. He is best known for his roles as Matt Fielding on Melrose Place and Tom Scavo on the Desperate Housewives. We first notice Doug Savant on the CBS nighttime soap, Knots Landing. In the eighties he starred in such films as Masquerade and The Outer Limits. From 1992 to 1997, Savant starred on Melrose Place. After this, Savant guest starred on series such as Profiler, Harsh Realm, Firefly, JAG, NCIS, Nip/Tuck, NYPD Blue, CSI: Crime Scene Investigation, and a four-episode arc on 24. 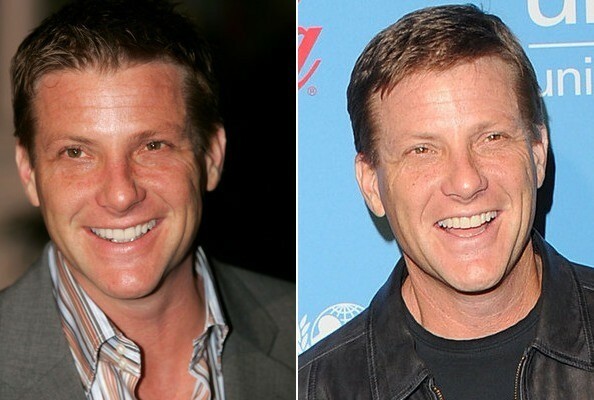 Now he currently plays Tom Scavo on ABC’s Desperate Housewives. He is married and has two children, Jack and Lucy, with former Melrose Place co-star Laura Leighton. He also has two daughters, Arianna and Madeline, with his previous wife, Dawn Savant.